You must see to believe the restoration quality on this ultimate Sleeper 1971 Pontiac T37 Le mans! This Street Beast is powered a Big Block 540 Cubic inch and believed to have 690 HP This Car was meticulously restored by a professional restoration shop a few years back and looks like it was done yesterday. It comes equipped with power steering, 4 wheel power disk brakes, aluminum heads, tilt steering column,. headers, dual exhaust, ken wood CD player, vintage Air and heat, 5 speed tremek transmission, 12 bolt posi 373 rear end gears, and is riding on a set of Lorenzo chrome rims with 20 inch tires. The chrome, stainless, and paint job is absolutely stunning, along with a perfect black interior! This car is ready to drive and enjoy or to take home a trophy at your next classic car show. 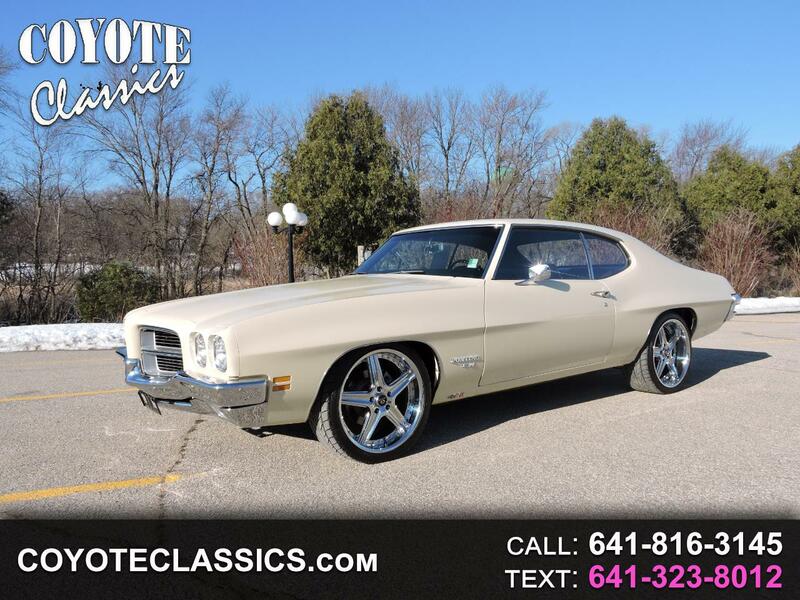 If you buy this one you will have the Nicest 1971 Pontiac Le mans around period! Message: Thought you might be interested in this 1971 Pontiac Lemans.